You are currently browsing the archive for the DAPTONE RECORDS category. 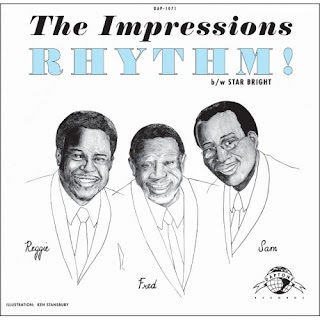 Featuring original members, Fred Cash, Sam Gooden, as well as Reggie Torrian, who has been singing with the group since the early ‘70s – this single is the sweet soulful beauty you’d expect from the Impressions. “Rhythm” the aptly titled A-Side, is a Curtis Mayfield penned tune that was a big hit for Major Lance in the Mid-Sixties. 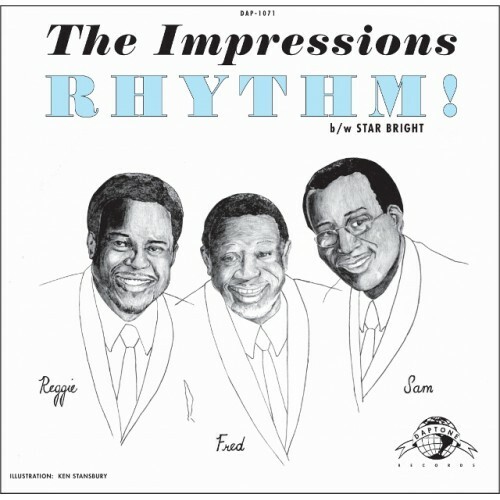 The Impressions “Rhythm!” 45/MP3 single produced by Binky Griptite (Sharon Jones & the Dap-Kings) is out now via Daptone Records.